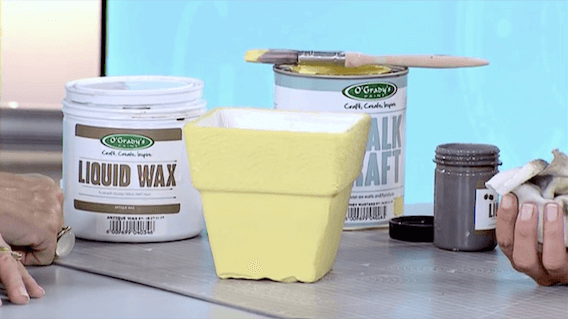 Paint the vase in Chalk Craft Honey Mustard. While is still wet place cotton lace on the vase edges and paint over the lace with the same colour to fill all the lace little holes. When dried apply our Antique Liquid Wax with a cotton cloth. Rub in the wax till achieve desired look. The lace pattern is now more visible.